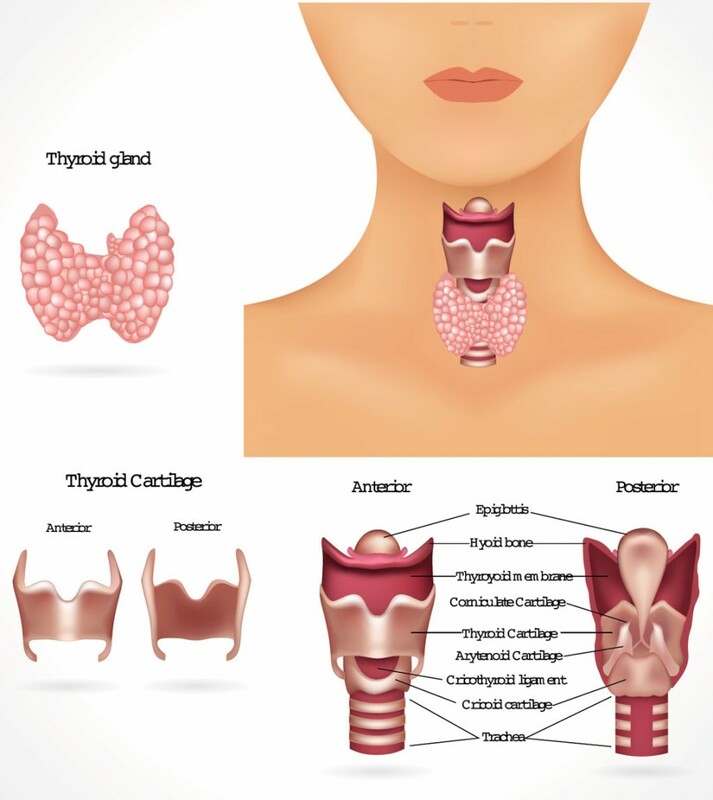 In addition to treating common ear, nose, and throat conditions, Fort Worth ENT thyroid surgeons Dr. Jeremy Watkins, Dr. Brad McIntyre and Dr. Sean Callahan at the Fort Worth Thyroid Center also provides information and treatment on multiple thyroid disorders and thyroid disease. 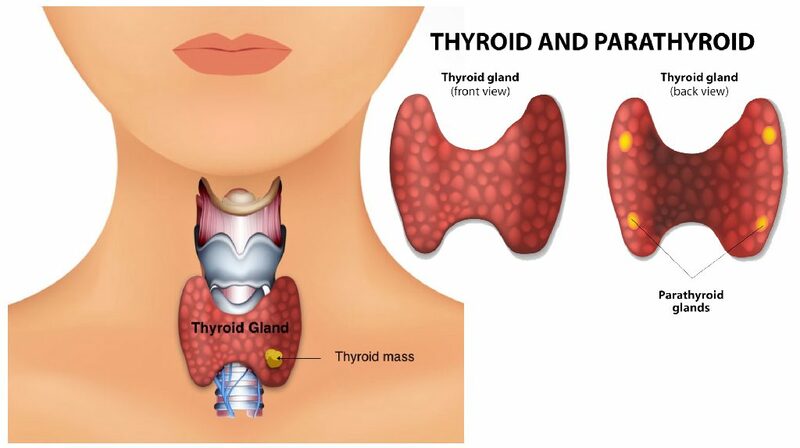 Thyroid disease is the result of an excess of thyroid hormone (hyperthyroidism) or an insufficient amount of thyroid hormone (hypothyroidism) being produced causing metabolic problems. Thyroid disorders can range from a harmless enlarged thyroid gland (goiter) to cancer. Having an experienced thyroid surgeon reduces your risk of complications. Thyroid surgeons Dr. Jeremy Watkins, Dr. Brad McIntyre and Dr. Sean Callahan are experienced thyroid surgeons providing care to patients with thyroid disease in the Fort Worth, Dallas and surrounding metropolitan area. The thyroid is a small butterfly-shaped gland located at the base of the neck along the front of the windpipe. The thyroid secretes several hormones know as thyroid hormones. Thyroid hormones influence many functions in the body, including metabolism, growth and development, heart rate, protein production and body temperature. Hypothyroidism, also referred to as underactive thyroid, occurs when the thyroid does not produce enough of the thyroid hormones. When the level of these hormones is too low, the balance of chemical reactions in the body is upset and important functions are impacted. Autoimmune disease: Autoimmune disorders cause the immune system to produce antibodies that attack the body’s own tissues. These antibodies can impair the thyroid’s ability to produce hormones. Hashimoto’s thyroiditis: Hashimoto’s is an autoimmune disease and is the most common cause of hypothyroidism. Treatment for hyperthyroidism: Occasionally, the medications used to treat an overactive thyroid can result in permanent hypothyroidism. Thyroid surgery: Certain conditions require the surgical removal of the thyroid or a portion of the thyroid. This can impair or prevent hormone production. Radiation therapy: Cancers are often treated with radiation. Treatment that involves the head or neck can damage the thyroid gland leading to hypothyroidism. Medications: There are many medications that can impact the function of the thyroid gland. Lithium, used to treat psychiatric disorders, is a medication known to cause underactive thyroid. Congenital disease: Sometimes babies are born with a thyroid that does not function correctly or with no thyroid at all. Pituitary disorder: In rare cases, hypothyroidism is caused when the pituitary glad fails to produce enough thyroid-stimulating hormone (TSH). Fortunately, once diagnosed, hypothyroidism is extremely treatable. Typically, medication is taken to correct the levels of thyroid hormone in the body. Man-made forms of the hormones produced by the thyroid gland make up for the missing hormones and allow the body to function normally. Most individuals need to take these medications for life. 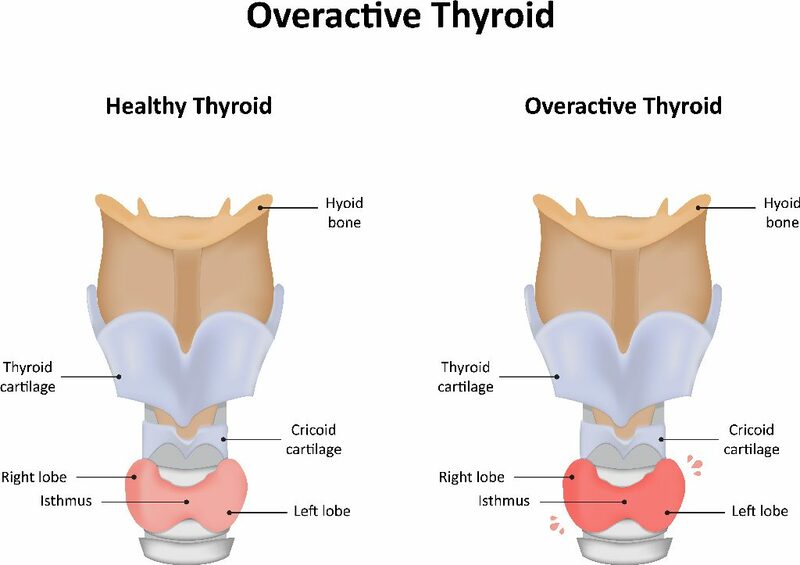 Hyperthyroidism, or overactive thyroid, is a thyroid disease in which the thyroid gland produces more of the thyroid hormone thyroxin than the body needs. This speeds up many functions of the body such as metabolism and heart rate. Graves’ disease: The most common cause of hyperthyroidism, Graves’ disease, is an autoimmune disorder in which antibodies attach the thyroid gland causing it to produce too much T-4 hormone. Thyroiditis: Sometimes the thyroid gland can become inflamed causing excess thyroid hormone to leak into the bloodstream. There are several options of treatment of hyperthyroidism. 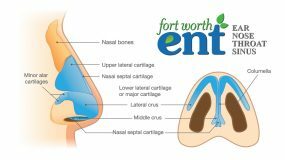 Fort Worth ENT will select the best treatment based on age, physical condition and the severity of the overactive thyroid. Radioactive iodine: Radioactive iodine is taken orally and absorbed by the thyroid gland. It causes the gland to shrink and thyroid activity to slow. Symptoms typically subside in 3 to 6 months, but often an underactive thyroid results. Anti-thyroid medications: These medications prevent the thyroid from producing excess amounts of hormones. For some people, anti-thyroid medications permanently correct the disorders. Other may experience a relapse. Liver damage is a risk with these medications. Beta-blockers: These medications do not affect thyroid function, but instead, provide symptom relief. Beta-blockers can effectively reduce heart rate and prevent palpitations. Surgery: When other treatments cannot be tolerated, surgery (thyroidectomy) is the next option. All or most of the thyroid is removed, and the procedure results in permanent hypothyroidism. Thyroiditis is inflammation or swelling of the thyroid, and occurs when the body’s immune system makes antibodies that attack the thyroid. Thyroiditis can cause either abnormally high or abnormally low levels of thyroid hormones in the blood. Hashimoto’s Disease and Postpartum Thyroiditis are two types of thyroid inflammation. In about 10% of women, a previously normal thyroid gland becomes inflamed in the month following delivery. Because the symptoms of postpartum thyroiditis can be very similar to the “baby blues” that sometimes follow delivery, the condition often goes undiagnosed. The exact cause of postpartum thyroiditis is not known. Factors such as having an underlying autoimmune disease, a personal or family history of thyroid disorders, chronic viral hepatitis or previously experiencing postpartum thyroiditis can all increase the risk of developing this condition. Treatment for postpartum thyroiditis depends on the stage of the condition and the symptoms. Most women experiencing mild symptoms of hyperthyroidism or hypothyroidism don’t need treatment. However, your doctor will monitor your thyroid function closely through blood test. Typically, with postpartum thyroiditis, thyroid function returns to normal and symptoms subside 12 to 18 months after the onset. If symptoms are severe during either stage or if other complications result, treatment for overactive or underactive thyroid may be necessary. A goiter is an unusually enlarged thyroid gland. This occurs more often in women than in men, especially in women before menopause. Typically, swelling in the neck is the only symptom of a goiter. If the goiter is large, you may be able to feel it or even see the lump. For some people, a large goiter may cause a tight feeling in the throat, a cough, or even difficulty swallowing and breathing. Treatment depends on the underlying cause of the goiter. In many cases, goiters resolve without any treatment. If the thyroid is functioning normally and symptoms are not bothersome, treatment may not be needed. If the large thyroid does cause complications, medication can be used to shrink the gland or surgery can be performed to remove it. Thyroid nodules are lumps that form on the thyroid. They can be solid or fluid-filled, and the majority of nodules do not cause symptoms or complications. If large enough, some nodules can be visible and even make it hard to swallow and breathe. Most thyroid nodules, however, go unnoticed until discovered in a routine exam. Thyroid adenoma: This is a noncancerous growth and does not typically cause symptoms unless extremely large. Some types do cause hyperthyroidism. Iodine deficiency: Iodine deficiency can cause nodules to develop, but it is extremely rare to see iodine deficiency in the United States. Thyroiditis: Thyroid inflammation can result in nodular enlargement. Thyroid cyst: Usually benign, these fluid-filled cavities often result from degenerating thyroid adenomas. Thyroid cancer: While rare, sometimes thyroid nodules are malignant. Nodules that are hard or cause pain are more concerning. Watchful waiting: If your nodule is not cancerous, this is typically the first step in treatment. 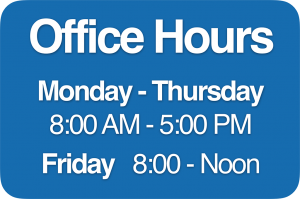 Regular physical exams, blood tests, and perhaps thyroid ultrasound tests will be performed. If no changes occur, further treatment may not be necessary. Surgery: Surgery may be necessary when nodules are potentially cancerous or for large nodules that cause problems breathing or swallowing. 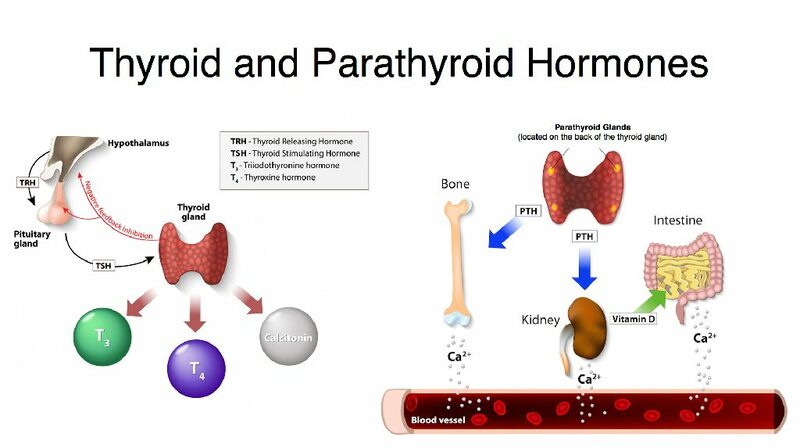 Radioiodine: When nodules cause the thyroid to produce too much hormone, radioiodine treatment is helpful in shrinking the nodules and decreasing hormone production. Papillary thyroid cancer: This is the most common form of thyroid cancer and typically affects people between the ages of 30 and 50. Follicular thyroid cancer: This form of cancer develops from follicular cells of the thyroid, and is usually seen in people older than 50. Medullary thyroid cancer: This cancer is found in the C cells of the thyroid that produce calcitonin. Anaplastic thyroid cancer: Rare and rapidly growing, anaplastic thyroid cancer can be more difficult to treat. Thyroid lymphoma: This cancer develops in the immune system cells of the thyroid. It is rare and grows quickly making it difficult to treat. Most forms of thyroid cancer are typically very treatable. The course of treatment depends on a number of factors including type of cancer, stage of cancer, and age. Surgery is the standard treatment for thyroid cancer. A thyroidectomy is performed to remove the gland. When the cancer is small and has not spread, this treatment alone can cure the cancer. Radioactive iodine is often used following surgery to destroy any remaining tissue that was not removed during the procedure. Other treatments that may be necessary include external radiation therapy, chemotherapy, and targeted drug therapy. Blood tests: Testing the level of thyroid stimulating hormone (TSH) in your blood can help determine if the thyroid is overactive or underactive. Radioactive iodine uptake test: A small dose of radioactive iodine (radioiodine) is swallowed. If high levels of radioiodine are seen in the thyroid, it is likely making too much thyroid hormone. Low levels mean that the thyroid is not making enough. Thyroid scan: Using radioiodine, a special camera makes an image of your thyroid on a computer screen. This test shows the pattern of iodine uptake in the thyroid and identifies different types of nodules. Thyroid ultrasound: This test can help identify what type and size of nodule is present. More ultrasounds may be needed over time to see if the nodule is growing or shrinking. Thyroid fine needle biopsy: This test determines whether thyroid nodules have normal cells in them. A very thin needle is inserted into the thyroid to take out a sample of cells and fluid. A doctor will then look at the cells under a microscope to see if there are any abnormal cells that could be thyroid cancer. 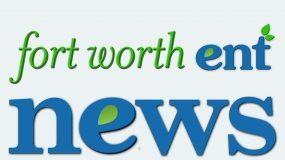 The experienced surgeons at Fort Worth ENT perform minimally invasive thyroid surgery. The procedure is necessary to treat thyroid cancer, thyroid nodules, Grave’s disease and hyperthyroidism that cannot be treated with medication or radioiodine. There are several methods of thyroid surgery, in which all or part of the thyroid gland is removed. Total thyroidectomy: This procedure removes all of the thyroid gland and the surrounding lymph nodes. This surgery is typically recommended for thyroid cancer and sometimes Grave’s disease. Studies have shown that a total thyroidectomy significantly reduces the rate of recurrence or relapse over other surgical methods and produces fast results. Subtotal thyroidectomy: When the surgeon removes almost the entire thyroid, it is known as a subtotal or near total thyroidectomy. This procedure is sometimes done to treat hyperthyroidism caused by Grave’s disease, however, research now shows that total thyroidectomy may be the best option. Thyroid lobectomy: This procedure is done when thyroid nodules are located on only one lobe of the thyroid and either the left or right lobe is removed. Usually the remaining lobe can compensate hormonally for the entire function of the thyroid gland. If the nodules are found to have cancer cells, a total thyroidectomy will be performed. Minimally invasive thyroid surgery: This surgery is the most up-to-date form in which a tiny scope is used, which means less scarring and faster recovery. As with any surgery, there are risks, but thyroid surgery is generally a very safe procedure. Complications such a bleeding, hoarseness or voice changes, or damage to the parathyroid glands can occur. Following a thyroidectomy, hypothyroidism results. Thyroid hormone therapy is necessary for life to replace the missing hormones. It may take some time to find the right dosage. Typically, blood tests are performed every few months until the right dosage is found, and then annually to monitor the levels.